What is a yarn? How do we design it? Why? 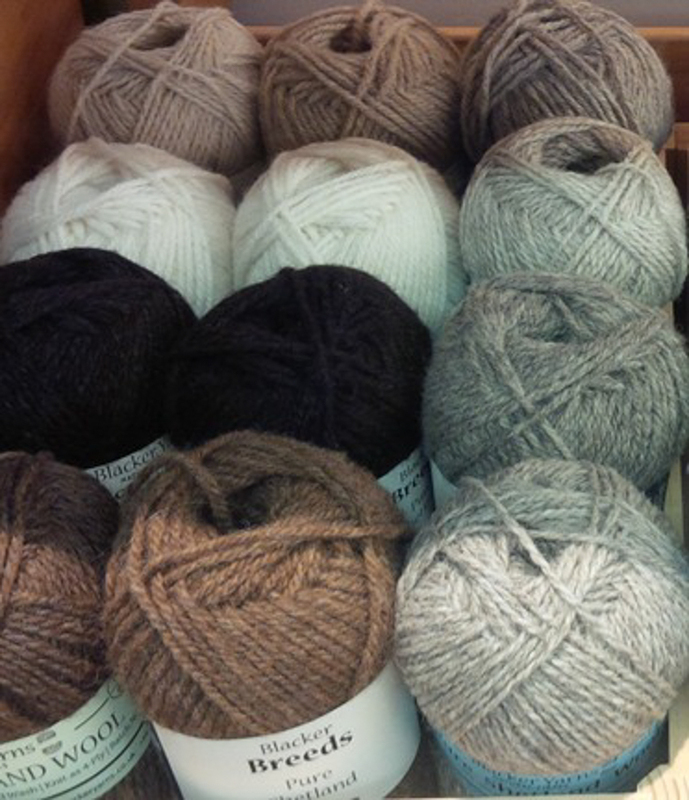 We make two types of yarn: Bespoke and Designer! Bespoke is yarns we make using customers’ fleeces and Designer is those we make for Blacker Yarns. Our knowledge of each informs how we go about the other! 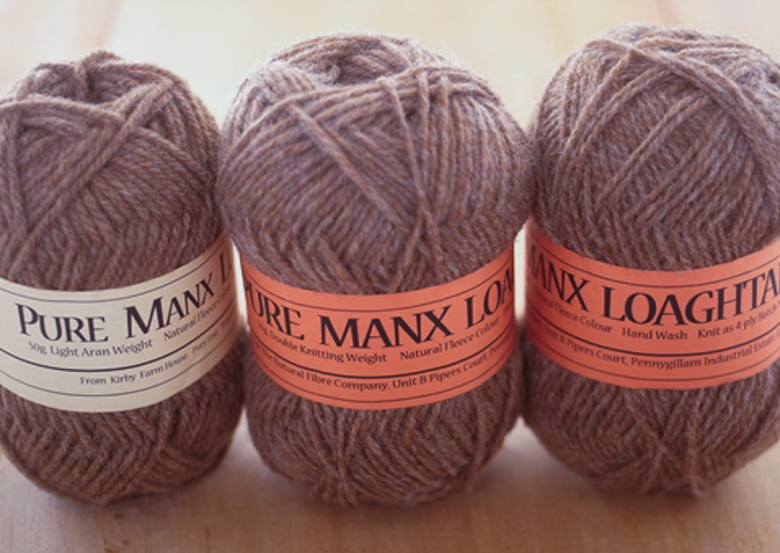 At The Natural Fibre Company we make yarns both for trade customers, who generally send us part processed fibre, usually as tops, and also for a very wide range of individual fleece and fibre producers. Generally, but not always, the tops will define the end product, but we are often still closely involved in blending, refining a specification or helping to design a yarn. For producer customers, every batch is effectively a new design: the flock composition, health status, age and gender distribution, possibly even the breed, may have changed since the previous batch, or indeed this may be the very first batch. So whether for a new or a repeat customer, we need to start from scratch. 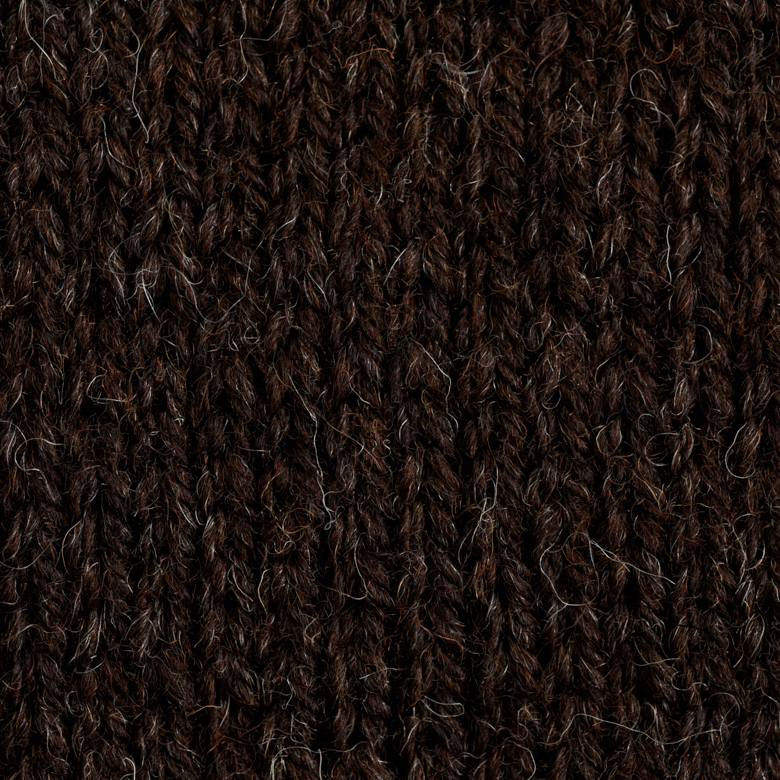 –	Although some fleeces are not soft and fine there is still a good use for all wool, due to its amazing characteristics of resilience, memory, fire resistance, water absorption, eleasticity… but differing breeds have differing degrees of memory, resilience, smoothness, etc., which will influence the end product. With naturally coloured fibres, whether wool or other species, colour reflects light differently for each shade, and within shades. 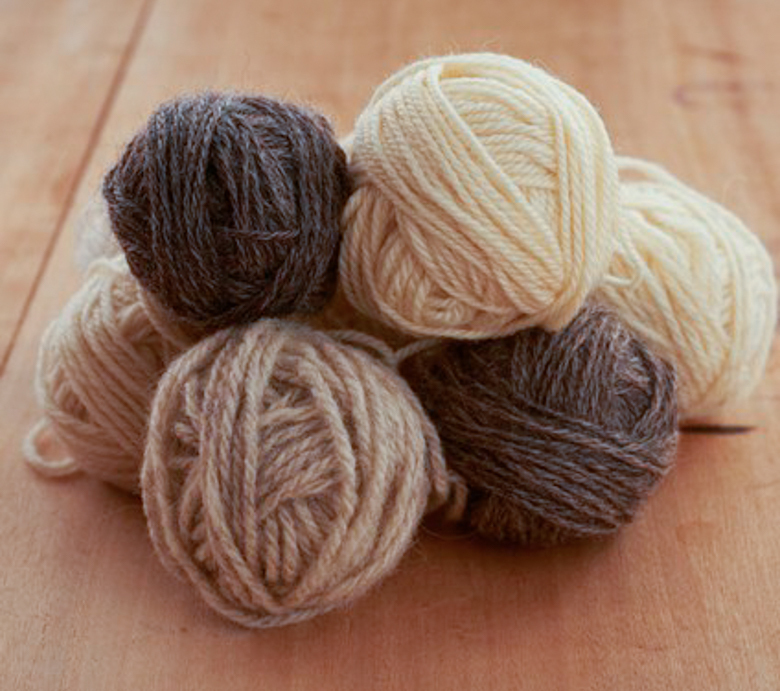 Thus, for example, it is always difficult to match a grey or fawn in alpaca or wool yarns to the last batch, even with the same weights of white and black/brown in the same proportions (if blended), as the intensity of the natural colour may have changed. Also a change from woollen to worsted spinning, even of the same proportions in a batch will alter the colour appearance: Jacob fleeces (using the unsorted whole fleece mid grey/brown) make worsted yarns which appear considerably more brown than the greyer woollen spun versions. The same challenges arise in matching the softness and handle of a yarn to a previous batch – we have seen alpaca fibre assessment charts for two animals which are, to all intents and purposes, identical, but the handle of one fleece may be much lovelier than the other – there is a magic ingredient in the combination of characteristics which is unique to each fleece. We are able to adjust to some degree, by changing the twist or ply to soften things a bit, where this is practical, and with a worsted spun yarn, which is more refined and consistent, there is a greater chance of repeatability of handle. Equally, the finest fibres, particularly if short, may produce a yarn which pills, especially if worsted spun, though woollen spun yarns can also pill or moult. The slight natural felting over time which results from gentle washing of woollen spun yarns will alleviate pilling better than with worsted spun yarns. Similarly, older animals, whether sheep, goats or alpacas, not only produce coarser fibre but also any guard hairs, medulated fibres or kemp will produce more as they age. 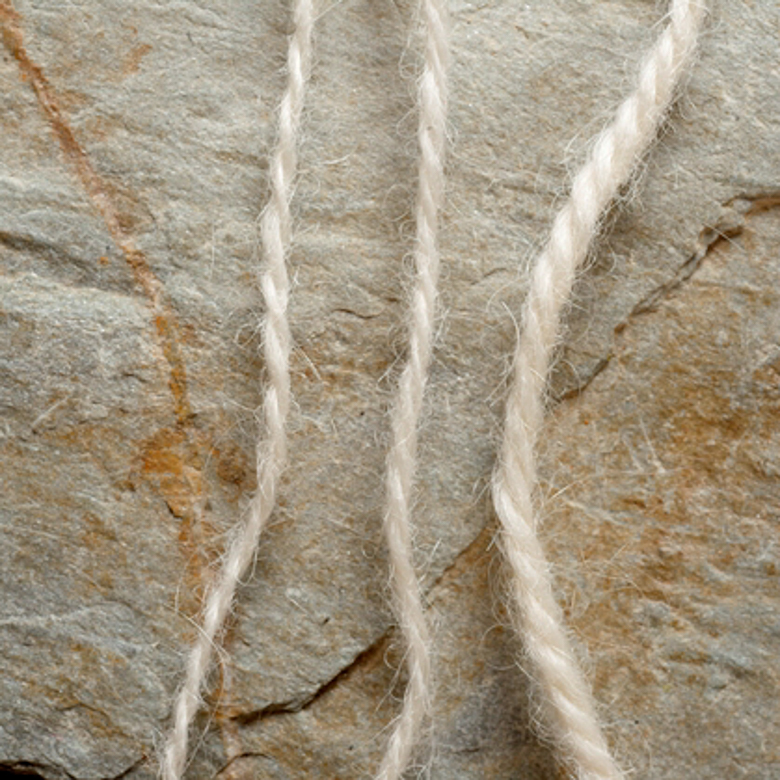 These coarse fibres may be an essential characteristic of a double-coated animal and add to the unique qualities of a yarn, such as North Ronaldsay, where the coarser fibres do not feel unduly harsh, but in alpaca and some sheep, the coarse fibres either increase the “prickle” factor to uncomfortable levels, or slide out of the yarn to make it shed copiously – we have seen one alpaca yarn behaving rather like a moulting dog! De-hairing by processing and combing will reduce but not completely eliminate these fibres. We, of course, unlike a hand-spinner, do not have the luxury of spinning each individual fleece, so one might think that combining a batch of fleeces is more likely to produce a similar average to the last one, provided of course that the aforesaid flock characteristics are the same, or pretty much the same… But in practice and with flocks which are specialised breeding flocks or smaller flocks than around 100 animals, this is never the case. One frequent and necessary change every 2-3 years will be the ram, which will have an immediate effect on the fleeces produced. It is possible to get a pretty consistent output of, for example, selected hogget fleeces, from a flock of a few hundred animals but not with 20-30, or less. The result of all these factors is that each batch of yarn, from each flock, will be different each year, to a greater or lesser degree. Of course, in marketing terms this provides many opportunities: the yarn from a named flock, named farm or named location can also be marketed as from a specific year or group of years when combined. However, some customer education is needed to help people understand this, and of course, labelling should be accurate and must be updated to distinguish between different batches. Thank you for talking to us about yarn design, Sue! we are looking forward to part 2 tomorrow. All content © Sue Blacker and used with kind permission. It has been a learning experience for me to develop the Sweet Tree Hiil Farm yarn. I have found it invaluable to have a very good working relationship with the owner of Central Virginia Fiber Mill. She has taught me about how the equipment works and constraints of that equipment. This knowledge helps me evaluate and sort my fleeces into workable batches. And what to use for yarn and also what to use for roving. Over the last three years, the quality of my Hilltop Shetland Yarn has improved as my knowledge has improved and I make better breeding decisions and the mill owner and I become a well versed yarn designing team. This makes the process of developing a style of Champagne between different growing years seem like a piece of cake! Who’d a thunk? That was very interesting. As a hand spinner I just hadn’t thought in those ‘huge’ terms!